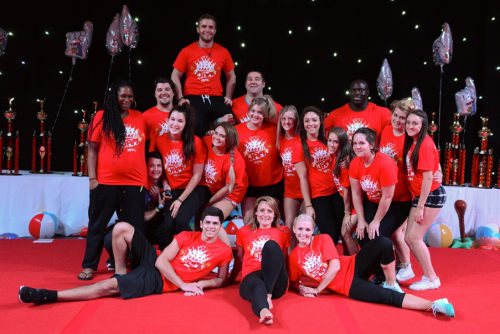 ICC was founded in 2007, has since grown to be one of the biggest event producers in the UK for Cheerleading and Dance. Today ICC is known for producing safe, affordable and fun competitions and events hosting some of the top Cheerleading and dance programmes. ICC is proud to be a UK based Cheer and Dance company honoring and working alongside the UK Cheer and Dance community, helping both athletes and coaches grow and succeed with the industry. We were one of the first UK event producers to provide Allstar Cheer and Dance winners with bids to USASF/ISASF Worlds! We Don't Charge Membership Fees! We don't charge any fees to be a member of the ICC community, and there are no other costs besides competition entry fees! Every Team Receives A Trophy! We don't just present trophies to top placements! EVERY team receives a trophy and every athlete receives an ICC medal too! We love to see what teams from around the world can put on the floor and welcome entries from any country!